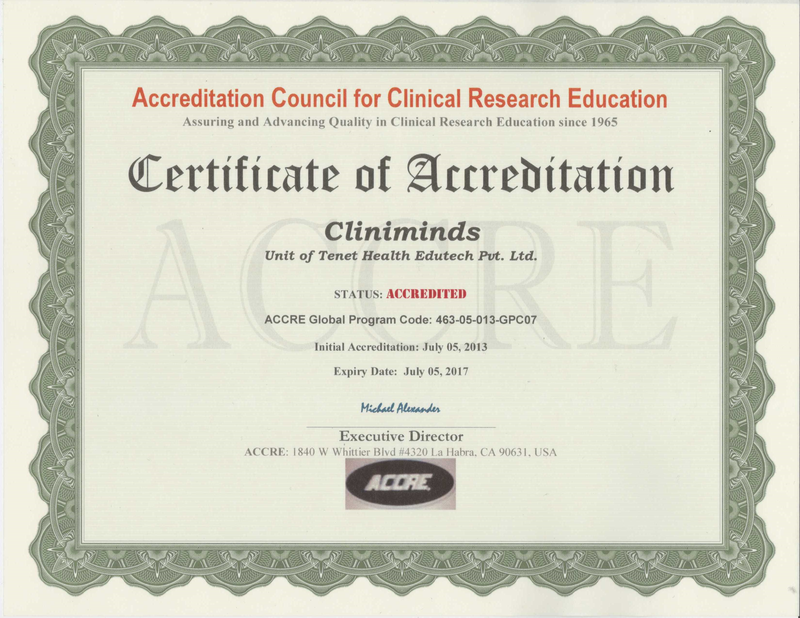 Cliniminds - India's First Institute to Receive International Accreditation from Accreditation Council for Clinical Research Education, US. 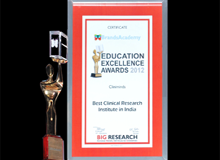 What is a CRA / CRC ? 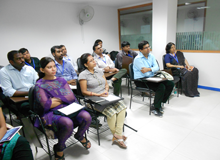 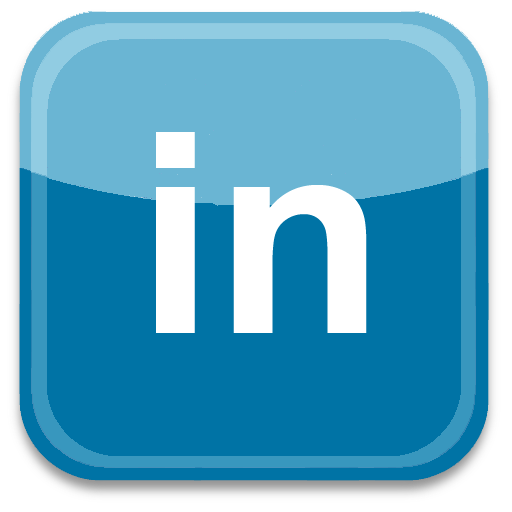 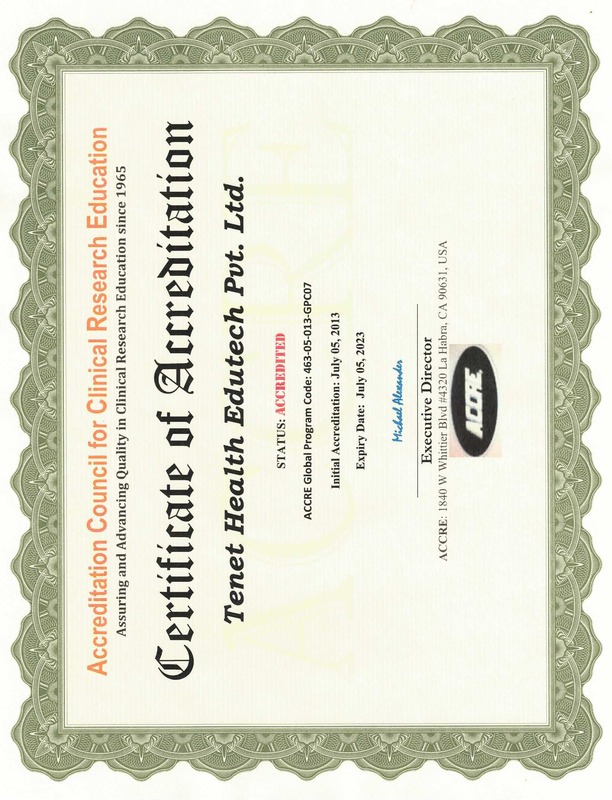 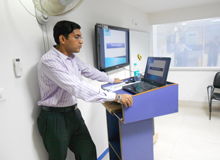 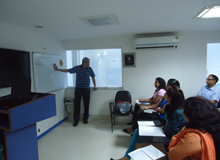 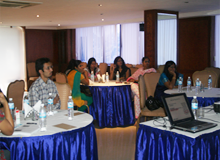 Unit of Tenet Health Edutech Pvt. 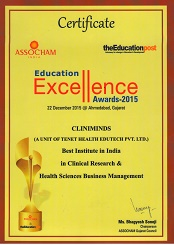 Ltd.
With the support and guidance of cliniminds staff especially Joseph Sir, Dr veepra Mam, and Rahul sir. 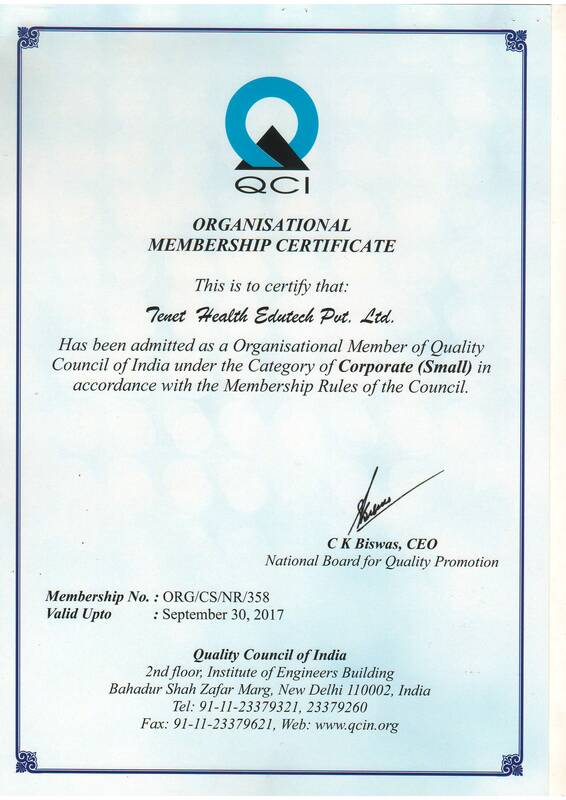 I got placed in a Reputed Multinational company Ahmedabad. 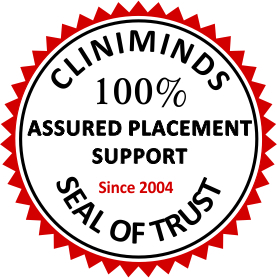 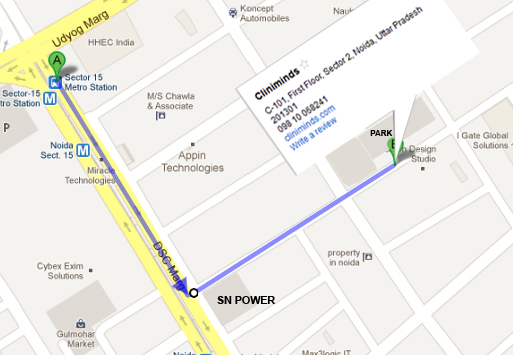 Cliniminds is really helpful for me. 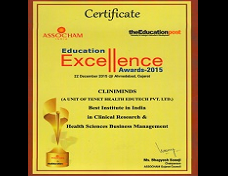 Selected in Excel Life Sciences. 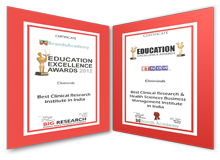 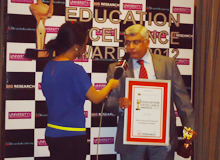 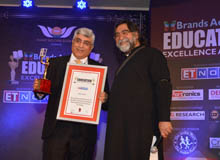 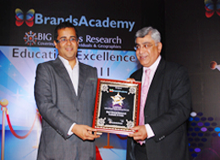 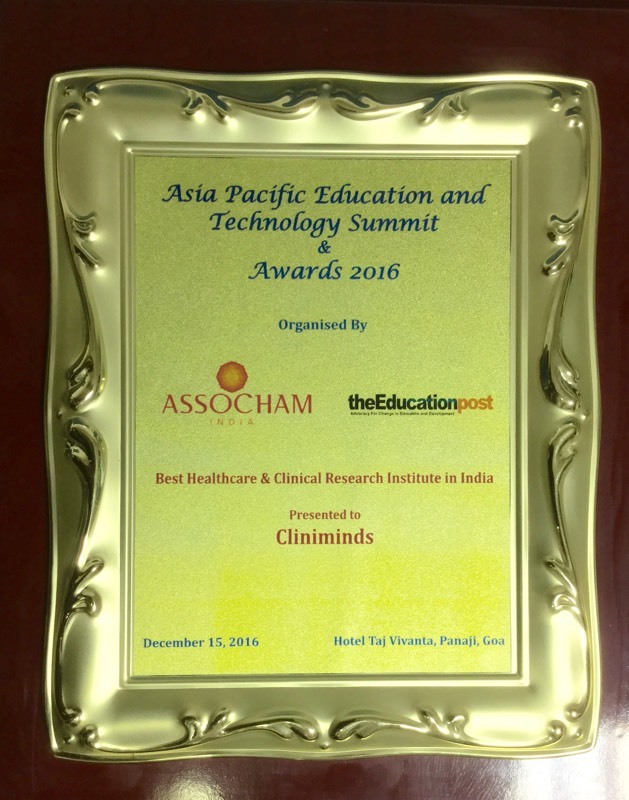 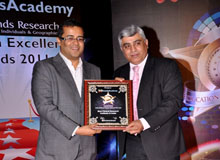 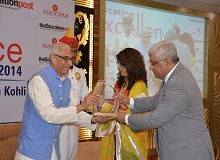 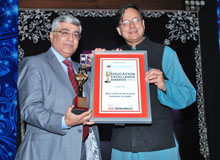 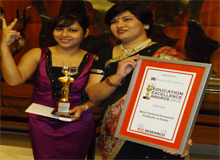 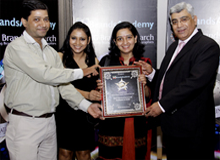 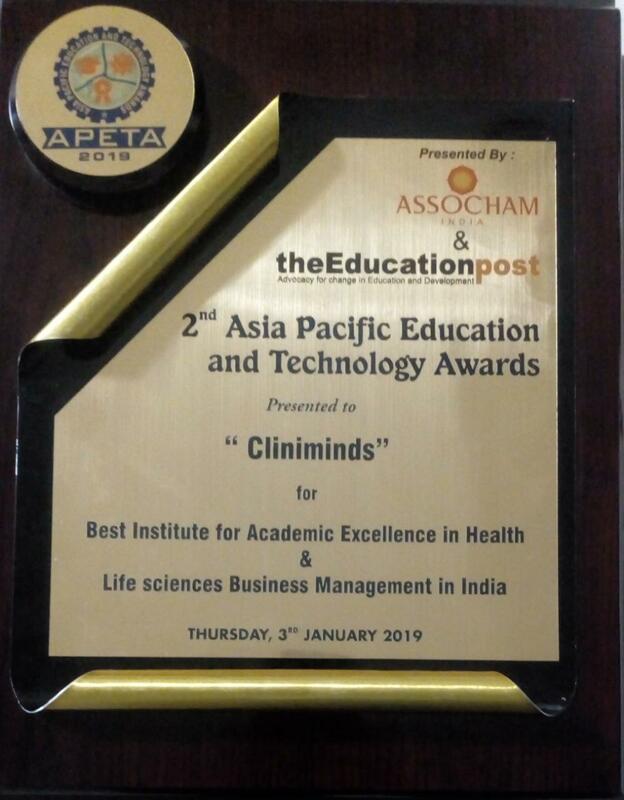 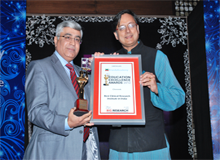 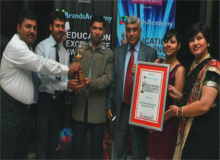 Cliniminds Awarded as the Best Clinical Research Institute in India by ASSOCHAM. 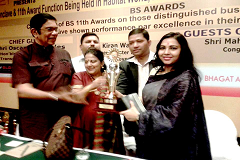 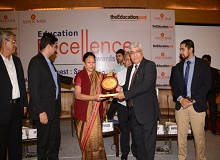 Award given by Honourable Governor of Gujarat. 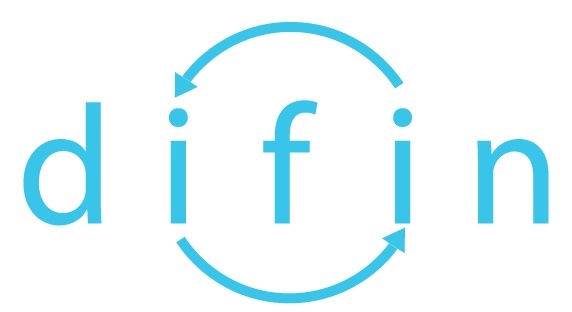 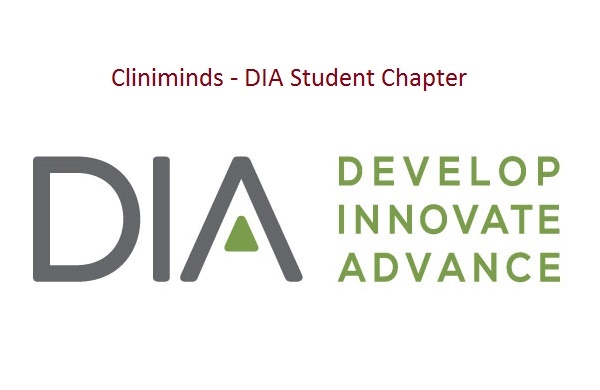 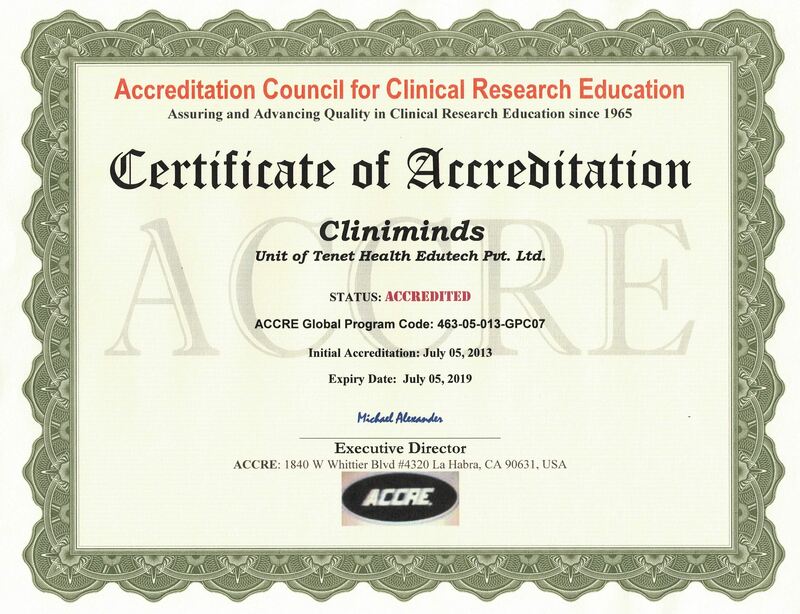 Cliniminds Awarded International Accreditation by Accreditation Council for Clinical Research Education US.